Actually, daydreaming does! Occasionally, when I’m going about my daily business, something pops into my mind like this would be cool to add in my story or what if I had this super power! These random thoughts prompt certain characters or abilities I want to write about. In turn, my dreams will sometimes expand on it, prompting me to pull certain ideas and throw them into my novels. The last dream I had was me running from something (don’t know what or why) and I wanted to run fast, but I was super slow. I woke up still not knowing what it was about! I first started writing over a year ago and I self-published I’ll Be Damned in March of 2013! This past October, I released Book #2 in the series, Saved by the Spell. What is it about the paranormal genre that appeals to you the most? Do you read other genres? I LOVE the paranormal genre. I’ve always loved anything supernatural, so this genre is right up my alley. I prefer the lighter and whimsical novels in this category. I do read other genres! I love true crime, history and almost anything with an interesting plot. 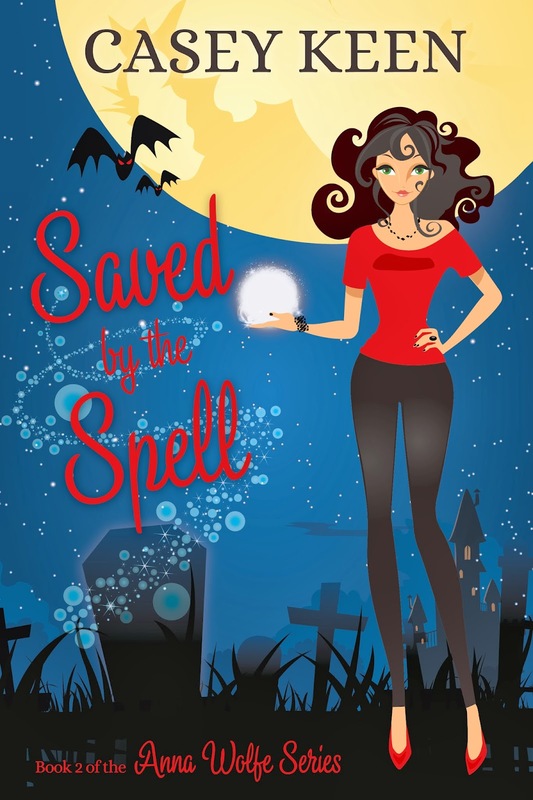 Saved by the Spell is book #2 in the Anna Wolfe Series. It’s a continuation of I’ll Be Damned! Anna Wolfe is a newfound Grand Witch fighting to keep the evil Prince of Darkness, Micah, from ruling both worlds—Earth & the Netherworld. She does this with the help of a gorgeous Werewolf and handsome Warlock. I don’t want to give too much away, but let’s just say it’s witty, suspenseful and funny at times! My inspiration comes from the genre itself. When I read my first Paranormal Romance series a little over a year ago, I fell in love with the whimsical tone of it. Something about imaginary creatures, places and romances sparked my creativity and continues to tug at it! I feel like a child again—envisioning the world, and my imagination, in endless possibilities. Yes! The Anna Wolfe Series. Yes! It is one of the coolest things ever! 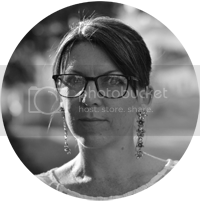 I have an amazing graphic designer, Jenna DeVries! Her creativity is unmatched! What's your favourite pararnormal book that made it to the big screen? The Mortal Instruments! I loved everything about that series from the plot to the characters! Genevieve Jack’s two books, The Ghost in the Graveyard and Kick the Candle. I write in my living room, on my laptop! I wanted to be a marine biologist and/or zoologist because of my insane love for animals! Emma Stone! She’s hilariously awesome! Have you ever seen, or felt, a ghost? There have been times when I felt something near me or something happened that couldn’t be explained (items falling, etc. ), but I never actually saw a real ghost! This could be what drives my interest in the supernatural genre. I was born in Philadelphia, PA and grew up in the suburban outskirts of this amazing city. I love anything paranormal and/or supernatural - seriously I live in Philadelphia! For those of you who don’t know, this city is an awesomely haunted place! 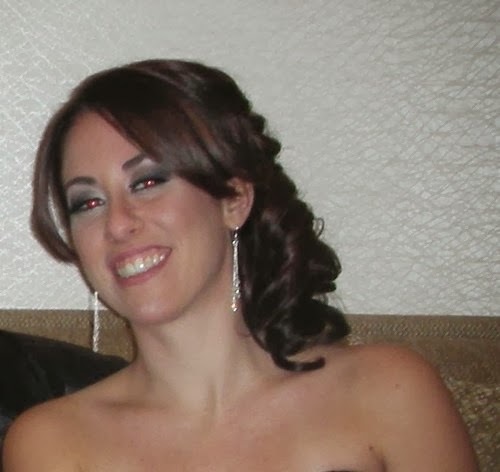 This healthy paranormal addiction has provided me the motivation to write my first book, “I’ll Be Damned.” I graduated from Drexel University with a Bachelor's Degree in Psychology and I'm currently working on the Anna Wolfe Series.